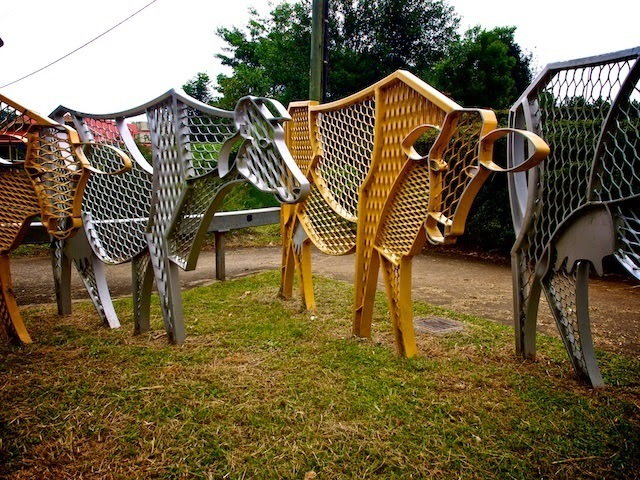 Janna Parmeijer's "Herd of Cows" marks the eastern entry to Maley's town centre on the site that was once the entrance to the sale yards. The Gold cows represent the Geurnseys that were the first breed milked commercially on the range, while the Silver ones represent the herds that have been lost due to the changing economy. An eye catching set of sculptures!